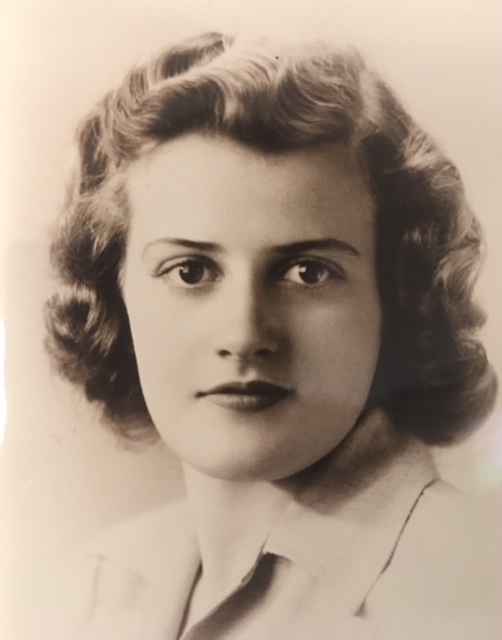 PEMBROKE- Mrs. Patricia Yeaton Crafts, 88, of Pembroke, died peacefully in the presence of her loving family on September 8, 2018. Patricia was the daughter of the late George and Madeline (Brown) Yeaton. Born in Northwood NH, she was raised on the family farm and educated in Epsom. She was a graduate of Pembroke Academy Class of ‘48 and attended the University of New Hampshire. Pat was a resident of Pembroke for 68 years. Pat retired from the Concord Hospital as the Director of Admissions. She was the co-owner of Crafts Gas & Electric Company in Pembroke and later went on to co-found The Den of Antiquity. Pat was a trustee for the Pembroke Library and a longtime Supervisor of the Checklist for the town of Pembroke. She was a founding member of the Plausawa Valley Country Club and was also one of the early organizers of the Pembroke Old Home Day. She worshiped at both the Congregational Church in Pembroke and New Rye Church in Epsom. Pat enjoyed decorative painting, quilting, golf, travel, high school sports, gardening, cooking, and her walks. Her love of history, antiques (especially tools! ) developed into epic yearly yard sales. The love of music inspired her to become involved in the restoration of the Concord Auditorium. She was predeceased by her former husband, Mansfield “Junior” Crafts; her son, Jonathan; and her siblings, June, Ted, and Syd. She is survived by her children: Deborah Stempel (Sylvester) of Waterbury Center, VT, Cynthia Wilkinson (Thomas) of Concord and James Crafts (Pamela) of Warren, VT; six grandchildren: Nathan Wilkinson, Kristin Wilkinson , Sara Wilkinson , Karli Stempel , Griffin Crafts and Samuel Crafts; one great grandchild: Grayson Denningham, her siblings: Charles Yeaton of Epsom, Phillip Yeaton of Concord, Calvin Yeaton of Epsom and Nancy Claris of Epsom. She is also survived by many nieces and nephews.